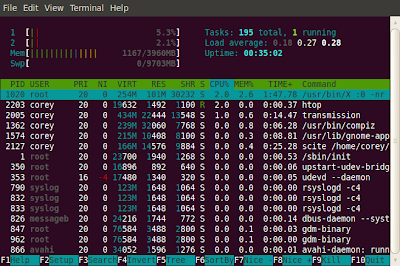 So you need to monitor a Linux system for performance metrics... CPU, Memory, Network, Disk, etc. 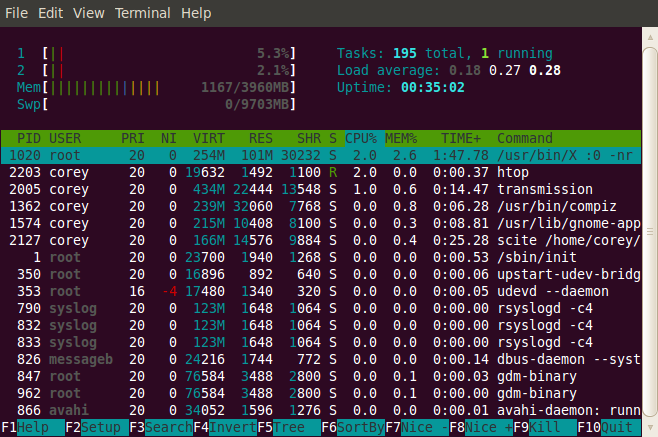 Here are 6 of my favorite command line tools for monitoring a Linux system from the command line. 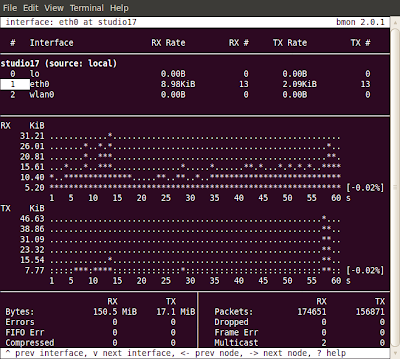 this is a package of utilites including iostat, mpstat, sar, and others. These tools are all available from package managers (apt-get, yum, etc) on most Linux systems. They are also available on most other *nix platforms. 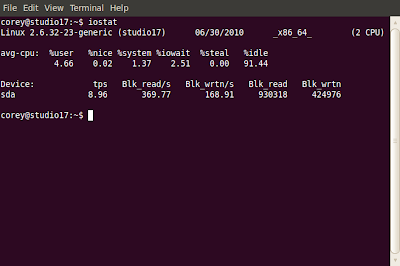 This will work on most modern distros - i.e NOT Centos - you would need to compile a (non ancient) kernel (2.6.20+) and also compile a new version of python. what do five out of six of those commands have in common? 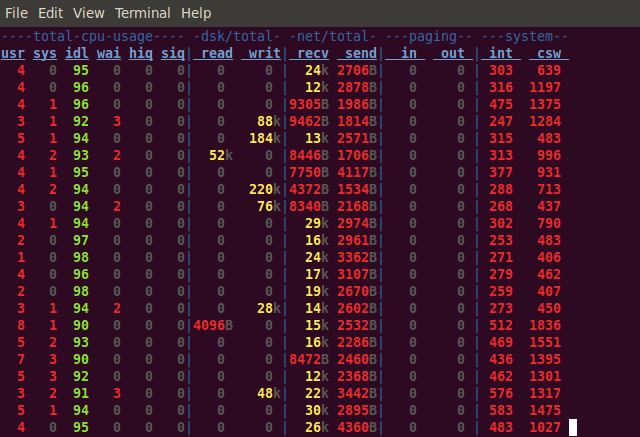 a non-parsable output. that's what. You forgot atop which is sort of like a cross between sar and top. 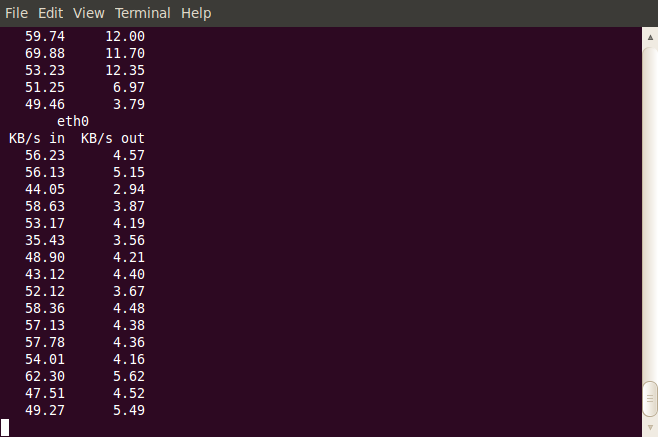 It allows you to collect data in a log file and then review it in a top-like interface. Shameless self-promotion: nethogs (http://nethogs.sf.net) would have fit in nicely in this list. 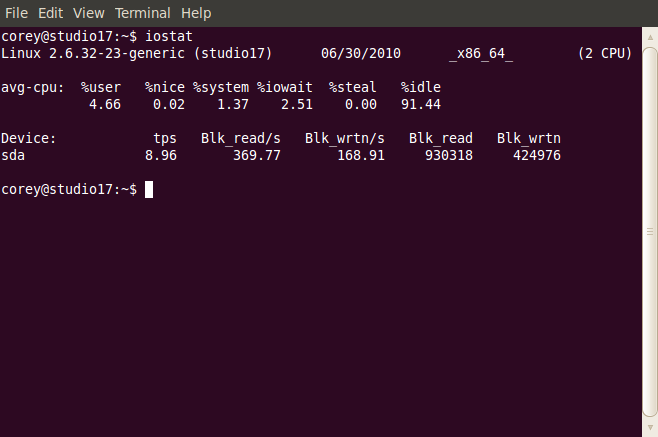 @George Marselis: Dstat does have parsable output if you specify the --output option. You can create graphs and have more detailed information inside the CSV output than you have on screen. re parsable output - I guess you haven't tried collectl yet. It's basicially a combination of just about any tool you can think of, plus more. 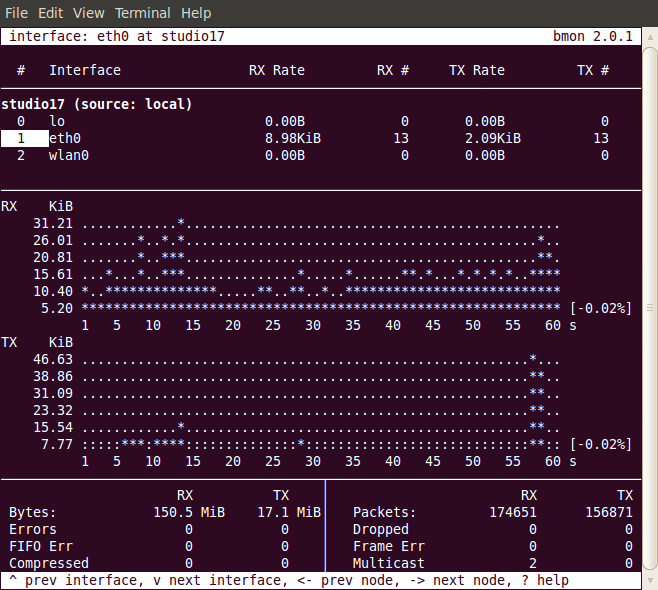 Think sar + *stat + *top + etc and then add in lustre and infiniband. It can produce timestamped data (a minimum requirement for plotting) as well as delimiter separated data for each of plotting either with excel, gnuplot, etc OR colplot which is also on sourceforge. 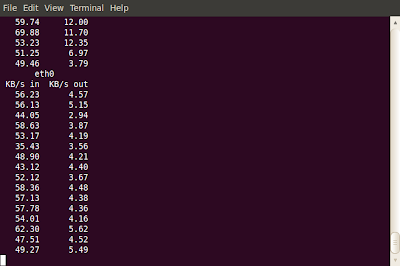 As a side benefit it can log as sub-second inetvals and uses < 0.1% of the CPU when recording everyting at 10 second intervals. Of course it only record process/slab data at 60 second intervals since those are heavier weight options. 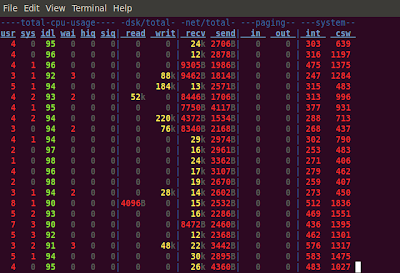 yes, nethogs is a nice utility to measure network speed or amount of data sent/received by a Process/Program Name. that was quite useful in a project where i was involved.